OK.........that pillow is so awesome. When are you going to start selling the patterns? I want the pattern ASAP. Also love the fabric, where did you get it? 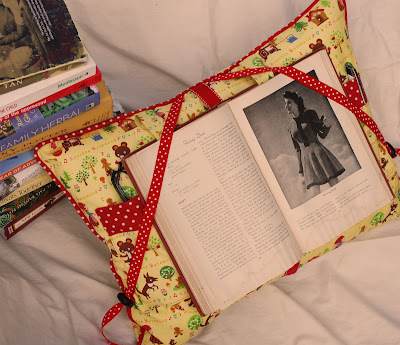 I came here via Flickr to say I love the idea of a book pillow. I have difficulty holding books open and this would be perfect! Oooh! I'm glad you like it! My goal is to get everything ready within the next two weeks. I have to do all the layout and sketches, then make it into a PDF file. The patterns will be downloads, so you don't even have to wait for the mail! The fabric is a cotton canvas Japanese import that I found at www.reprodepot.com. 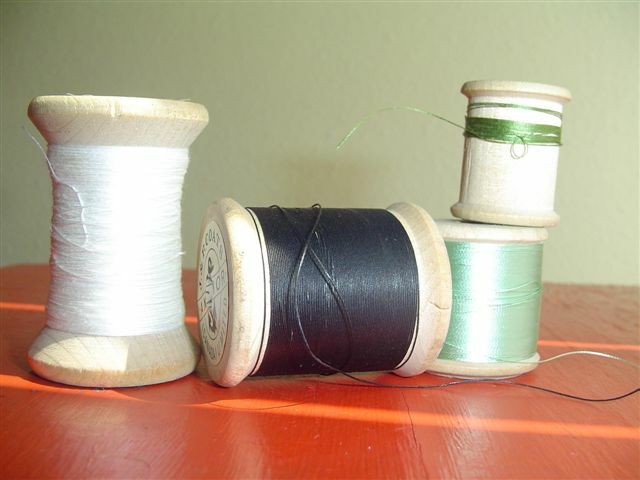 You can also find tons of cotton canvas by doing a search at www.superbuzzy.com. I will be anxiously awaiting the downloads. That is a great idea. I love this idea! This is the first I've seen, but I'm wishing I'd had one a long time ago. I could really see making some for my husband's classroom. I love your reading pillow and have a new suggestion for folks who would benefit from this. 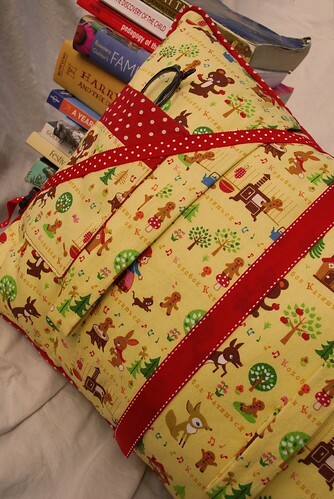 I have really bad arthritis and I sew a lot in order to keep some flexibility in my joints but reading is often difficult in terms of holding heavy books (the new Harry Potter is a primed example); therefore, this reading pillow idea would be such a blessing to me. Thank you so much for sharing your idea and I very much look forward to the new pattern. oh looks cool!! I'll be waiting for the pattern as well. Meg, your stuff is flipping brilliant! I was a preschool teacher in my pre-motherhood days and wish I could meet and talk to you. I just recently discovered your blog and have been devouring the archives. Your work is beautiful and your ideas are inspiring. my very first time here! you make such great work! i've been inspired by your site since i stumbled upon it a few weeks ago. your project ideas are so wonderful! I can't wait for the downloads... although I hope they are not to advanced, as i am a beginning sewer (since January). The pillow is such a cool idea, and I'd love to make that carrier... my first baby is due in Nov! Hello. I am so happy to discover your blog from a link on another one. YES, I would be interested in your patterns!! I love their soft look and the patterns of fabric you chose. Although I am beyond babies myself, my next ones will be grandchildren. Even though my DD is only 15, I have visions of her carrying her baby in that carrier. I homeschooled up until this school year. DD went to public high school last fall and DS will go to first grade, public school this fall. It was wonderful to homeschool, and yet now I need to address some health issues on myself and need a bit of space. We have visions of a cross country camping year when DD graduates so I consider public school a temporary fit for us. Yet I want it to be wonderful for my kids. I would appreciate buying that reading pillow pattern ASAP. what a great thing for the classroom reading corner as well as for our own spots in the house. HURRY!!! i want to make these for each of my kids! So cute. I have some Hansel and Gretel fabric I should think about cutting at some point and that would be a pretty idea for it. If I can cut it! I just found your blog. Love all the pretty things you make. I saw this on flickr and all I have to say is I love this pillow! Never been much of a reader, but I do know some people who read a lot and like to read in bed! Can't wait for the pattern! I can't wait to get ahold of that pattern! And I'm having a good laugh because I just paired that same dot fabric with a storybook fabric to make AK's simple tote for my daughter. Too funny. Speaking of AK, congrats on the major Angry Chicken exposure!!! :) Kudos well deserved. This is awesome! I'm so proud of you! What a fun pillow!!!!!! You are really going to town, girl! This is soo cool! I vowed not to pick up a new hooby, but I want to sew that so bad! maybe my son will learn it with me...except hes not ready yet - hes only 19 mnths...but I have big dreams! besides liking the pillow as I love reading, I looooove all details you added (glasses and pen)! That's so cool! It would be a great gift for my niece and nephews. Is it a "beginner-friendly" pattern? PLEASE let me know when this pattern becomes available for purchase! Thanks. wow, I just stumbled upon your blog through whipup... and I must say this pillow is really lovely! I can't wait for the pattern to be available! The book you have in the pillow? I have that very same book...I picked it up at a used bookstore in Bahia Blanca in Argentina. Very strange to see it here too! I plan to make this for my daughter once you've got the pattern available for sale!